Tailor Made Travelling in Holland or shall we say the Netherlands? Planning a trip to Holland? Then it might be helpful to understand that you’ll only be visiting two of the twelve provinces of the Netherlands, namely Noord and Zuid Holland (which together are called Holland). When one thinks of the perfect vacation, the hassles of transportation, booking and lodging are usually not in the picture. I think, and believe you’ll agree, that you’d prefer to be out and about…seeing the sights, eating the local food, meeting real, Dutch people and spending what time you have in the Netherlands to really be worth it. What better way is there to do this than to have your very own tour guide, catering to you and only you? 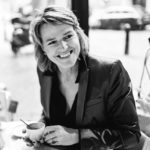 My name is Sjoukje Oostindie and I am the founder of A Dutch Experience. Having grown up in the Netherlands and traveled all over the world, I’ve come to realize how unique this country is. I would love nothing more than to share my love of the Netherlands with you. At A Dutch Experience, I can help you create a personalized itinerary of everything you want to see and do in this beautiful country I call home. Whether it be advising you on the best lunch cafes in the north, helping you rent a bike to cruise the flat countryside, or arranging a full day expedition around the Netherlands with your very own driver, I’m here to listen and work with you. So once you’ve had your fill of the Netherlands’ deliciously famous chocolate breakfasts (us Dutch love our hagelslag! ), taken a stroll amongst the tulips, admired the windmills and sampled the cheese and herring, it’s time to get to get to the heart of this country. And that’s why I’m here. I’m already looking forward to meeting you and helping you plan your perfect adventure. This was a highlight of our 2 day visit to the Netherlands . We were focussing on undertaking family research in Friesland . Sjoukje had da great understanding of the people and history of Friesland which she readily shared with us . We were taken to off the tourist track towns and villages which we would never have found on our own ! This was a well crafted and cost effective tour and I can commend “A Dutch Experience” to the most discerning of travellers .